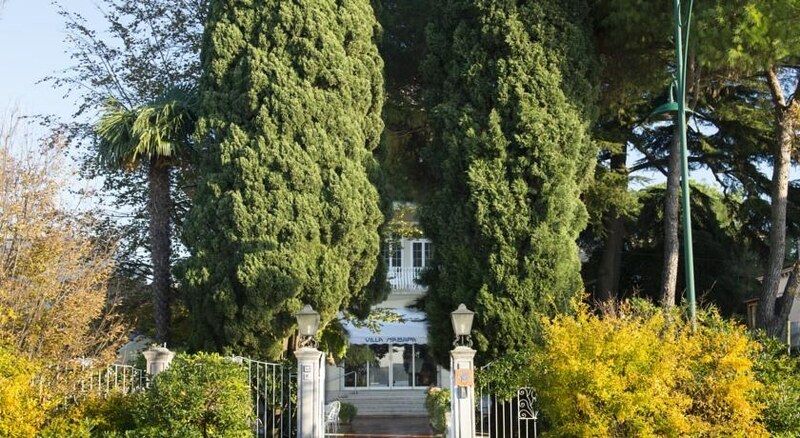 Constructed in 1930, the hotel affords sprawling gardens and a total of 73 rooms spread over 3 floors. A spacious lobby with lifts, hotel safes, a currency exchange desk, a cloakroom and a 24-hour reception count among the facilities. 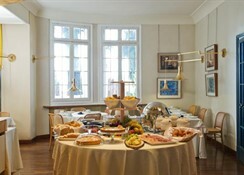 There is also a breakfast room, a cosy bar, and an à la carte restaurant on offer to guests. 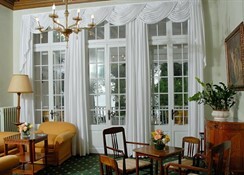 Business guests may make use of the conference room and the Internet access. 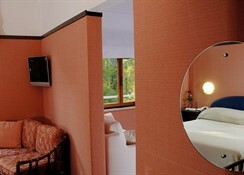 There are also room, laundry and medical services to take advantage of as well as bike rental. There is a car park outside for those arriving by car. 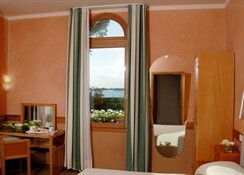 This hotel is beautifully located in Lido island in the centre of Venice. 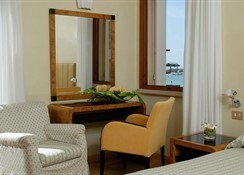 The hotel overlooks the sea and St. Mark’s Square is just 10 minutes away by boat, which run regularly, 24 hours a day. Numerous shopping and entertainment options are only steps away and the beach is just 300 m away. 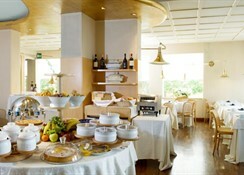 The famous Rialto bridge is around 1.5 km away and Venice airport is within 8 km of the hotel. The modern, comfortable en suite rooms come equipped with a hairdryer, a telephone, satellite/cable TV, a radio, Internet access, air conditioning, central heating, a minibar, a double bed and a safe. From the train station take line 51, 61 or 82 towards San Marco to Lido (takes around half an hour). From Marco Polo airport take the Alilaguna line towards St Mark’s Square to Lido (this takes roughly 50 minuntes). Guests arriving by car should follow to the end of the bridge, which goes over Venice’s lagoon, and follow the signs towards the ferry port (around 35 minutes).